With the Easter break in full swing, it's a good time to take stock of the term just gone and consider your SEND priorities going forward. While you are tucking into your Easter eggs, here are five of my latest blog posts that you may have missed. We're fortunate to have many shining examples of people who refused to be defined by their disabilities. At Priestnall, we’ve found that these positive role models are an excellent way to contribute to a more positive discourse. 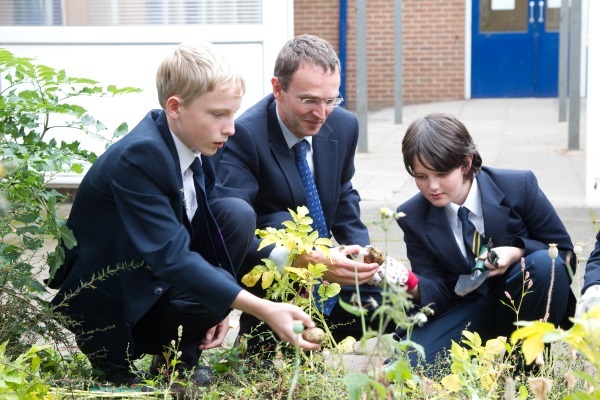 In this post, I explain how schools can work towards equality. Knowing and doing what is right should be a SENCO's guiding principle, regardless of outside pressure. This post makes the case for ethical leadership, and provides clear advice on how to avoid letting pressure dictate the decisions you make. No matter where you are, the hallmarks of inclusive practice remain the same. This post explains why a shared responsibility and a clearly articulated vision are paramount when striving for inclusion in schools, and highlights why how you define success is an important point of discussion for school leaders. Variability in local practice continues to cause upheaval for schools at the heart of the SEND system. This popular post highlights some of the misconceptions we need to address now as we near the end of the reforms implementation period. I continue to hear many first-hand accounts from practitioners of legal inaccuracies, unlawful practice, abdicated responsibilities and convoluted processes in the SEND system. Remember: the law still trumps all! There is a strong research basis to support co-production. This post provides a useful summary of key findings and how we can apply them in schools, highlighting the fact that proper co-production and working positively with parents and carers can make significant differences to outcomes for young people and their families. In the next few weeks, keep an eye out for more thoughts on the need for SENCO supervision: it is most certainly now time to significantly rethink traditional line management systems, and this post will explore how we might transform them into a more appropriate model of supervision. What this means in reality may differ from school to school, but watch out for this post highlighting the guiding principles as the first step in a new way of working. I will also be putting the spotlight back on student passports, thinking about how they can inform high quality teaching and improve outcomes for young people, particularly with regard to SEND students without EHCPs. What else should we be discussing? Do let us know @OptimusSEND and @gdmorewood. Have a great Easter weekend, however you choose to spend it. I look forward to sharing further thoughts and continuing vital debates over the weeks to come. What will you commit to in the summer term? How about ditching the labels and focusing on 'what works' for ensuring all pupils can make progress? Fortunately, the Annual SEND Update is now only two months away. 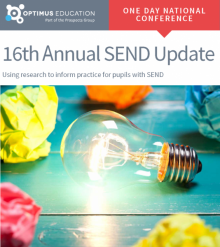 A cadre of experts will highlight the latest research surrounding SEND, and most importantly explain how you can translate such research into effective classroom practice.